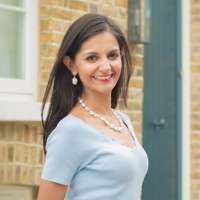 Rupal Kantaria is the co-founder of Mission Include, a progressive inclusion initiative that embraces and encourages diverse thinking, culture and ways of working through cross-company, cross-industry and cross-diversity strands. She also works extensively with charities and non-for-profit organisations. Kantaria has more than a decade of management consulting experience in financial services and was previously the chief operating officer of the EMEA Insurance practice at Oliver Wyman.